Explore how technology has helped make us more powerful as individuals within our political system than ever before – and how they can give you enormous influence in this critical election year. Don’t you love technology? We all do. It's hard to imagine in an age of blockbuster lines every time a product debuts at the Apple store, but it wasn’t too long ago that tablets, smart phones, and even laptops were uncommon. Now it seems we can’t get through the day without them. In this week’s edition of Majority Points, we’ll explore how technology has helped make us more powerful as individuals within our political system than ever before – and how, when coupled with old-fashioned campaign methods, they can give you enormous influence in this critical election year. As technology has advanced, so too has the American voter. We no longer get our information from just three evening news casts or one local paper. Politically engaged Americans have access to multiple information sources about issues, campaigns and candidates. A single person's Facebook "wall" or Twitter "stream", for example, can easily provide all the events of the day, right at your fingertips, and all scan-able in seconds. Meanwhile, the number of single issue voters is decreasing and the number of unaffiliated voters is increasing. This means the traditional political parties who once dominated elections also have lost direct control over primaries and even general contests. All these factors make YOU and other grassroots activists more influential. We call it the “Do It Yourself Campaign.” Of course you need more than just you, but the idea that you need a political organization backing you to help drive out like-minded voters no longer holds water. In 2010, small groups of ordinary Americans started organizing tea parties and citizen groups right at their kitchen tables-- and together they helped mobilize millions of voters for that fall's election cycle. How did they do it? They used a potent combination of the latest technology and tried-and-true, old-fashioned methods to contact voters and simply talk to them about what we need from our government. On the high-tech side, tea party organizations and other grassroots community groups today are using programs like Gravity – an online campaign management software that uses the latest voter data in your area to help you target election districts and precincts, develop walk lists, distribute information and deploy volunteers. 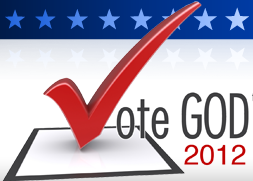 American Majority is providing this state-of-the-art software FREE to conservative groups who want to set up their own voter contact and Get Out the Vote (GOTV) efforts this election season. Click HERE for more information. On the low-tech side, organizing for victory always starts by developing a message that resonates with people right in your backyard and then recruiting like-minded volunteers to spread that message. Divide your local community into small districts or utilize existing political boundaries like Election Districts to canvass door to door. Start TODAY. Set small, measurable goals for reaching voters. Think bite-sized chunks. Communicate with them several times between now and November. This is called "touching" the voter. And it works. American Majority offers free, technique-and-information-packed trainings to show you the mechanics of building your own campaign. Click HERE to learn more about how you can bring American Majority to your community to train you to organize for victory. It’s less than six months until Election Day 2012. This year, you can have a greater impact that ever before and ensure candidates who will fight to keep America free actually win in November. Beyond that "finish line" of sorts, as conservatives we want to to hold our elected officials accountable. And not just this year, but every year. Americans want to have more control over a system of government spiraling out of control. Frankly – if we want the kind of generational change that is necessary to keep this nation free and prosperous – we will have to do it ourselves. That's right, ourselves. No one is coming to save us. And just as there is no longer any real "man behind the curtain"...no powerful, centralized, all-knowing national or state party apparatus, there is also literally no excuse for political activists, campaigns and candidates not to embrace all the innovation and science pouring through our culture. Get smart! Adapt popular platforms, programs and hardware for your purposes! The volunteers of yesteryear would have killed for even the ability to manipulate and sort electoral data we all take for granted thanks to the venerable Excel sheet so many of us love to hate. Work smarter, not harder. Don't forget the elbow grease, but don't ignore the information and computing revolutions changing lives around you. Good old shoe leather and new, easy to use technologies make it possible like never before to very nearly "do it yourself". To be an "army of one" when it comes to politics. Learn more about how you can engage by clicking HERE. "But what is victory? It is of course, when boiled down to its essence, getting more votes than the other guy (or gal). So the vote goal is the destination, and everything on a campaign, from message to media to GOTV, is aimed at that goal. So how are you going to find that goal?" "Jennifer Grant, CPA, mother of four, and full-time professional, saw a need for change in her community. She loves the values cherished by her community in Waukesha county, Wisconsin, but noticed that “those values aren’t always reflected” by her county board. So when a seat opened up, she seized the opportunity by running and winning." "After being the first organization to uncover and release evidence of massive mail-in ballot irregularities throughout Montana, Media Trackers now calls for an immediate and exhaustive county-by-county review of all mail-in ballots. "